ASSASSIN'S CREED 2! 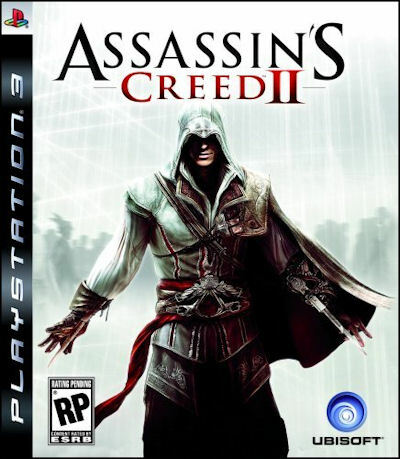 This installment of the Assassin's Creed series is still considered to be one of the best of the series. It greatly improved the game play, visuals, and overall awesomeness from the first Assassin's Creed and you can get it for free here! Considering that there has been issues with the PSN, I tried to go with a more single player friendly game. It's visually striking and the story will definitely keep you intrigued. Best of luck friends! Would love to win this game. Been really wanting this game. What a great prize. Thanks. I have seen this pop up on a few best Games of the Year lists, so would love to win. Looks ballin, would love to win this. Great giveaway--would love to play! I have yet to play this game. I heard you have to play the 1st one for storyline purposes. This would be a great win! Love this game! Can't wait to own it! Hey there guys. Don't forget to let me know if you liked this on facebook! Don't let those extra entries be ignored! I like it!/ Shared on stumble upon, my user name is deadflyingcat. Hubby would love it if I won this. My nephew wants this bad!!! Super awesome, hope I win! Oh sweet!! Winning this would make my life! Great game! I'd love to have for our PS3. This looks like a fantastic game, but I haven't had a chance to get it yet. Heard great things about the game. Never had a chance to play. It would be really cool to win. Awesome!! Would love to play this. The reviews are excellent. I totally want this game! I would love to win this game, thanks for the chance!